For the actual WoJ Challenge I have used my lovely Henry Party Mouse. Oh I'm the first to leave a comment! 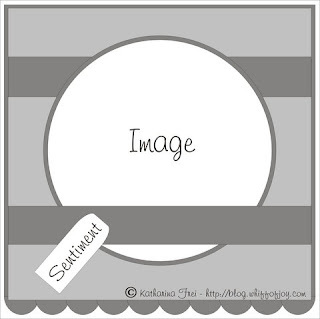 =) This card is just adorable! Love your coloring, little Henry looks like he's ready to celebrate! =) Love the colors you chose! So cute and really pretty papers. 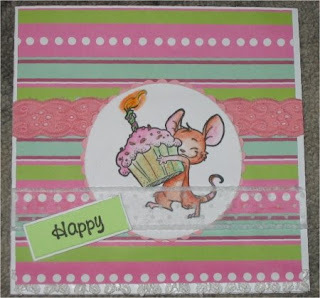 Fabulous card, love the papers and what a cute mouse. Dont you just love the cute mouse? Eine tolle Karte und ein süßes Motiv.